Combine the herbs in a bowl and add them when finishing your dish, to preserve the flavor. This may be made with dried herbs too, and can be stored in a airtight container. Put all of the herbs in to a cloth bag or tie them together and add it to the pot along with other ingredients for your dish. Mix the dried herbs together and voilá. You may use a mortar if you want a finer blend. Can be stored in a airtight container. A rule of thumb when making pasta, is that you want to calculate 100g flour and 1 egg pr. person. Start by pouring flour though a sieve on to a table, then make a “pocket“ in the middle, like a volcano. Crack the eggs in the hole with a little salt and start kneading the ingredients together into a rough dough. This should take about 10 minutes, to make sure it is all kneaded. 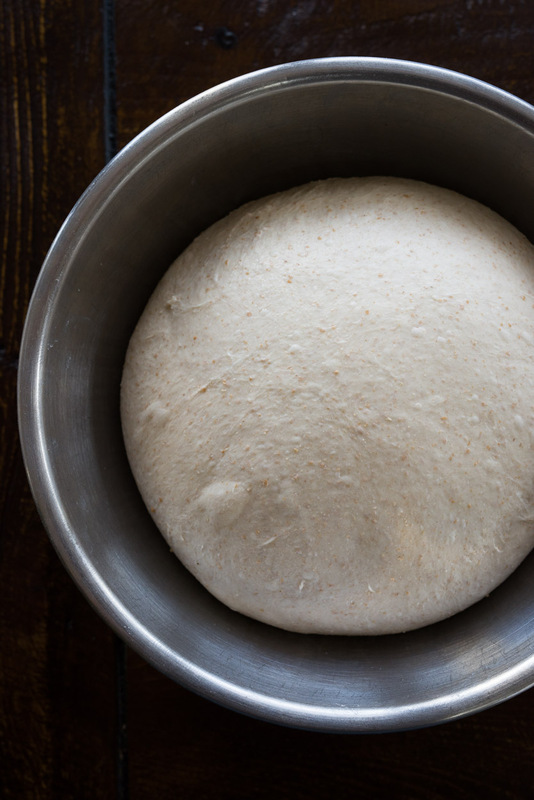 If the dough is too wet, just add some more flour and if it is too dry, add a little water to it, until it is smooth and elastic. Pack it in clingfilm and let it rest for 30 minutes. Now roll out the dough. This can be done either by hand or with a pasta machine. We would definitely recommend the machine, since it may be difficult getting the dough thin enough be hand. When the dough is as thin as desired you can start cutting it up depending on the type of pasta you want to make. For inspiration, have a look at some different types here. First of, we need a proper piece of meat, because the better the meat, the better the result. We like ours with a good amount of fat in it, resulting in a beautiful marbling. A good marbling will flavor the meat while making the steak tender and almost cut-able with a spoon. We would recommend a rib eye which contains a lot of flavour because of the fat content - but you can choose your own favorite carving. Now we’ve chosen the meat, we need something to cook it in. There is two proper ways to do this, on the grill or the cast iron skillet. The needing for seasoning is depending on the quality of your meat, cheaper cuts needs more seasoning while more expensive cuts just need some salt and pepper. Here is two ways to do it. Before cooking it, make sure it is about room temperature. This will help the fibers relax and hence it will not stick to the grill or pan. When you flame grilling, you will have loads of taste from the marbling. It will both flavor the meat from inside as it melts and add that great smoked flavor from the fat dripping from it, that evaporates when touching the grill. Do not be worried if the fat dripping sparks a little flame, it will just help melting that marbling, releasing even more flavor to it. We just add some salt and cook it a couple of minutes on each side, depending on the thickness of it. Then let it rest for 5 minutes to let the juices distribute in the meat and finish cooking. Roasting it on the pan gives us more opportunities to seasoning it. We will be using butter, loads of it, salt, pepper, rosemary and garlic. Start by rubbing the meat thoroughly with salt and some pepper and let it sit for as long as possible. Now heat your skillet, preferably a cast iron one, and add a splash of olive oil. When smoking hot add your butter, crushed garlic and two twigs of rosemary and then the meat. When cooking it, tip the skillet and pour that lovely butter on the steak with a spoon. Cook until as desired, let it rest and serve. 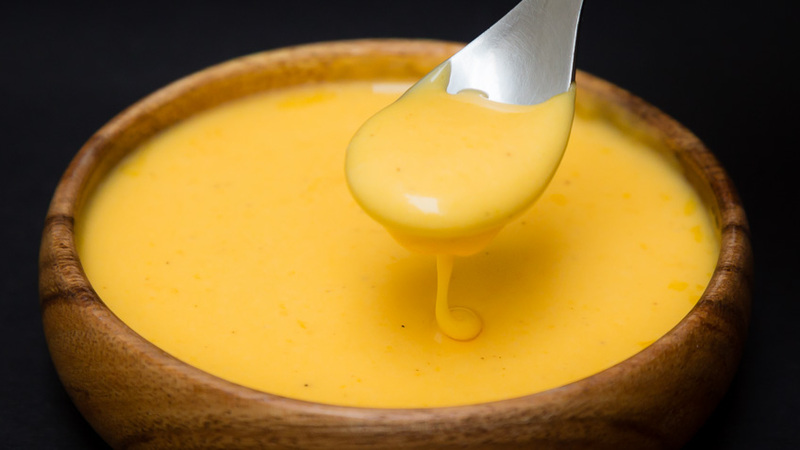 You will of course be needing some sauce for it, why not try our bearnaise? 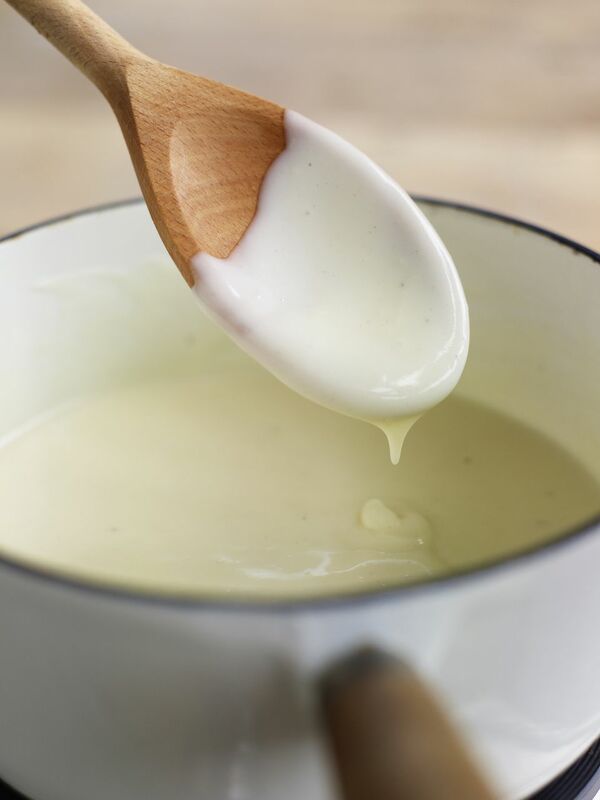 - Melt the tallow and roast in in a pot for 1 min. - Keep in a piping bag in the fridge. - Roll the dough out until 2mm and punch it out with a cutting ring 33mm in dia. cm. 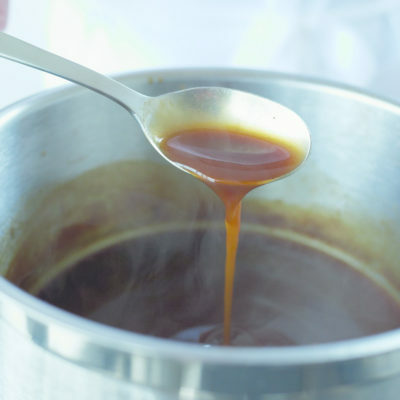 - Leave to cool and keep in an airtight container. - Freeze the fish. When frozen grate it and keep in the freezer.